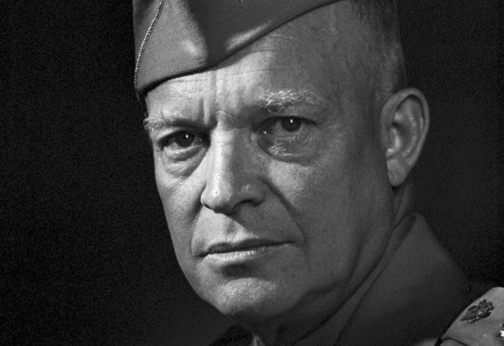 I don’t think we’re here to propose Eisenhower or anyone else as a perfect model of all virtues. But what he said that day 50 years ago, in a very flawed and imperfect speech, was one of the most prescient predictions and potentially valuable warnings ever offered on the face of this earth. I say potentially because we have yet to heed it. In her descriptions of that long ago war and the current one she devoted not one word to the killing, maiming, or traumatizing of innocent people. She made no case for the necessity of either war, except to claim that the first one was fought in self-defense several thousand miles away against a band of pirates who had never approached U.S. shores and whom Woo scornfully mocked as unworthy adversaries. Woo’s entire case is that our Libyan wars have not yet been as bad as our Afghanistan and Iraq wars. Well those are sure high standards! What a proud UVA alumnus I am today! And wouldn’t it have been nice to see a little opposition to the Iraq and Afghanistan wars from UVA’s administration prior to this cheerful celebration of the Libya War as not being as bad as the other ones, which — by the way — are still raging? This past Sunday the Charlottesville Daily Progress printed a column called “A Stimulus Package Conservatives Could Support,” but there was nothing conservative, and nothing Eisenhower would have tolerated, in the column. I tried to find some points in this column that I could say the author got right, but the best I could come up with was this: giving her the benefit of the doubt, I suspect that the author, Amity Shlaes, spelled her own name correctly. Her idea for improving our economy is to increase military spending, including in particular through the Defense Advanced Research Projects Agency (DARPA). DARPA is the same agency that has moved on from mechanical killer elephants and telepathic warfare to exploding frisbees, cyborg wasps, and Captain America no-meals and no-sleep soldiers, as well as far more useful things that could have been developed outside the military, like the internet and GPS. But DARPA has 240 employees. Let’s double it. Heck, let’s triple it. We’ve still got statistically the exact same unemployment rate we started with. Or let’s add a half a million employees to the military, as Shlaes proposes. If we could afford to do that, we could afford to add many more employees elsewhere, because the military is the least efficient way to create jobs. In fact, we could scale back military spending to a level higher than 10 years ago, put that money into non-military industries and tax cuts, and see a net gain of 30 million jobs, even after finding new jobs for everyone who lost one in the military industrial complex. We could have full employment and it wouldn’t cost us a dime. That fact only seems startling if we lose touch with how much we’re spending on the military and what a waste it is. But Shlaes has other arguments. First of all, the military knows how to manage youth, she says. But does it? The leading cause of death in the U.S. military right now is suicide. I understand that once you’re dead you’re no longer unemployed, but surely that can’t be what Shlaes had in mind as a solution to youth unemployment. We tried to bring to this conference a young widow of a soldier whose pleas for help after seven tours in our current wars went unanswered by the military. He took his life, and his wife publicly described the lengthy process that had led to that tragedy. She was then so viciously harassed that she canceled her conference participation and went into hiding. I suppose that’s one way to manage young people. Secondly, Shlaes argues, the military is already on all the campuses. That’s certainly true in Charlottesville. Recruiting offices are already open everywhere, she explains. True enough. The military can spend tons of money quickly, she assures us. Well, that’s as true as anything could be. But it doesn’t change the fact that you could have many more jobs just as quickly by other means. Feeding the military industrial complex because it’s large and hungry is how Congress Members think; it’s not how we need to think. Oh, but it’s not large, says Shlaes. It’s only 5 percent of gross domestic product, less than President Reagan managed, and less than during Vietnam, Korea, or World War II. But think about this argument. If the country becomes wealthier (I know it doesn’t seem wealthier, but 400 billionaires have as much money as half the country; there’s wealth, it’s just concentrated), Anyway, as I was saying, if a country becomes wealthier it should spend more money, at a steady percentage of GDP, on its military, not because it needs to, but because it can, and because — even though almost anything else would produce more jobs — this will produce some jobs. Shlaes’ statistics are debatable as well. Chris Hellman recently compiled all the U.S. national security spending through various departments, including the so-called “intelligence” agencies, Homeland Security, etc., and arrived at $1.2 trillion per year. According to the National Priorities Project we’re dumping 59% of discretionary spending into the military each year. According to the St. Petersburg Times this week, U.S. troops are in 148 countries. We could cut 80% of this madness and still be the world’s top military spender. In the process we could avoid all of the damage we are going to hear about during this conference not only to our economy, but also in terms of weapons proliferation, foreign relations, civil liberties, the natural environment, the rule of law, and — lest we forget — the killing of large numbers of human beings. Shlaes asserts without argument that an ever larger military deters wars. Eisenhower warned, and the evidence is extensive, that a larger military creates wars. And that larger military is all over Charlottesville and Virginia. The Daily Progress, which does a far better than average job of covering peace advocacy, nonetheless willingly prints propaganda for the military industrial complex. It also carries a lot of advertisements for the military industrial complex. And those advertisements are purchased with our tax dollars, funneled through the Congress, into the Pentagon, and on over to so-called private corporations taking no-bid, uncompeted contracts to enjoy what for some are booming economic times. BAE Systems, which often runs a green full-page ad in the Daily Progress, paid a $400 million fine last year to the U.S. government to settle charges of having bribed Saudi Arabia to buy its weapons. The U.S. government, however, continued dumping billions into BAE. Charlottesville, as many of you may know, is home to the National Ground Intelligence Center (NGIC), now north of town but previously downtown in what became the SNL Financial building. The new location for the center also accommodates units of the National Geo-Spatial Intelligence Agency and the DIA, the Defense Intelligence Agency. The University of Virginia has built a research park next door. Ray McGovern was just reminding me of the role the NGIC played in selling the Iraq War. When the experts at the Department of Energy refused to say that aluminum tubes in Iraq were for nuclear facilities, because they knew they could not possibly be and were almost certainly for rockets, and when the State Department’s people also refused to reach the “correct” conclusion, a couple of guys down here at NGIC were happy to oblige. Their names were George Norris and Robert Campus, and they received “performance awards” (cash) for the service. Colin Powell used their claims in his U.N. speech despite the warning of his own staff that they weren’t true. NGIC also hired MZM to assist with war lies for a good chunk of change, and MZM then gave a well-paid job to MZM’s deputy director Bill Rich Jr, and for good measure Bill Rich III too. MZM was far and away the top “contributor” to former Congressman Virgil Goode’s campaigns, and he got them a big contract in Martinsville before they went down in the Duke Cunningham scandal. Rich then picked up a job with a company called Sparta, which, like MZM, was conveniently located in the UVA research park. There’s a Judge Advocate General’s Legal Center attached to UVA Law School as well. Then there’s the Virginia National Guard, which does tend to guard nations, just not this one. Local want ads offer jobs “researching biological and chemical weapons” at Battelle Memorial Institute (located in the UVA Research Park). As you may know, researching such weapons is rarely if ever done without producing or at least possessing them. Other jobs are available producing all kinds of weaponry for all kinds of governments at Northrop Grumman. Then there’s Teksystems, Pragmatics, Wiser, and many others with fat Pentagon contracts. Employers also recruit here for jobs in Northern Virginia with Concurrent Technologies Corporation, Ogsystems, the Defense Logistics Agency, and many more. From 2000 to 2010, 161 military contractors in Charlottesville pulled in $919,914,918 through 2,737 contracts from the federal government. Over $8 million of that went to Mr. Jefferson’s university, and three-quarters of that to the Darden Business School. And the trend is ever upward. The 161 contractors are found in various industries other than higher education, including nautical system and instrument manufacturing; blind and shade manufacturing; printed circuit assembly; real estate appraisers; engineering services; recreational sports centers; research and development in biotechnology; new car dealers; internet publishing; petroleum merchant wholesalers; and a 2006 contract with Pig Daddy’s BBQ. Piedmont Virginia Community College, which has been good enough to allow our conference to rent its facilities tomorrow and Sunday, has a new program aimed at qualifying more students for military so-called intelligence work. And Charlottesville is relatively military-free as areas of Virginia go. Were the state of Virginia to ban participation in wars of aggression, weapons sales to brutal dictatorships, and the manufacture of aggressive and illegal weapons, the Military Industrial Complex would be obliged to help itself to many billions of public dollars just to cover the cost of moving operations to the other 49 states or abroad. I think Shepherd Johnson is here tonight. If you give him a ride through Virginia he’ll point out current and former, public and secret, military facilities behind just about every hill. With his help, I’ve compiled a list of highlights. The Pentagon and all of its surrounding weapons corporation headquarters are in Virginia. The Chairman of the Joint Chiefs of Staff lives in Quarters Six at Fort Myer in Arlington. The Army and Air Force chiefs of staff live on “Generals Row,” also in Fort Myer. Norfolk is home to the world’s largest naval base. NATO is there too. And until last month, so was the United States Joint Forces Command. The Army maintains major commands in Virginia as well, including the United States Army Combined Arms Support Command at Fort Lee, and the United States Army Training and Doctrine Command at Fort Eustis. The Air Force has its Air Combat Command at Langley Air Force Base. Langley and Eustis combine to form the Joint Base Langley–Eustis. The Port of Hampton Roads is a Sea Port of Embarkation (SPOE). Also in Tidewater, Va., is Lamberts Point at Norfolk. So are two large shipyards, found in Newport News (Northrop Grumman) and Portsmouth, there to service the aforementioned largest Naval Base in the world. But the military is spread throughout the state. Out in Radford is a major munitions plant. Up in Warrenton are four military sites, at least one of them used by the CIA. Let’s not forget the Navy. There are SEAL teams at Little Creek and (team 6) at Dam Neck. These are military forces operating at the secret command of the President. In Peter’s Mountain near Gordonsville, is an AT&T site that many believe the military used to use and probably still does. The Defense Intelligence Agency used to train “psychic spies” (men who’d stare at goats if they were smart enough to recognize one) at a place in Nelson county called the Monroe Institute. The Army prepares for war in Virginia at Fort Belvoir, Fort Eustis, Fort Lee, Fort Monroe, Fort Myer, and Fort Story, the Navy at the Navy Amphibious Base Little Creek, the Naval Surface Warfare Center Dahlgren, Naval Station Norfolk, Norfolk Naval Shipyard, Oceana Naval Air Station (the cause of all that noise pollution in the air at Virginia Beach), and the Naval Weapons Station Yorktown. Meanwhile, the Marines are based in Quantico, as is the FBI Academy. The NSA is in Chesapeake and just across the West Virginia line. The CIA is at Camp Peary, a.k.a. the Farm, right next to Colonial Williamsburg, where CIA warriors and foreign warriors are trained. The “intelligence community” may not have much intelligence or community, but it has a lot of Virginia real estate, including the Office of the Director of National Intelligence at Tyson’s Corner, right next to the National Counter-Terrorism Intelligence Center, which is not far from the headquarters of the Central Intelligence Agency, which has additional offices in the Reston-Herndon area. Then there’s the National Reconnaissance Office in Chantilly, the National Geo-Spatial Intelligence Agency in Springfield, and the U.S. Army Intelligence and Security Command (INSCOM) National Ground Intelligence Center here in Charlottesville (the command is headquartered at Fort Belvoir). The DIA is headquartered at Bolling Air Force Base in Washington, D.C., but has an office building in Clarendon. The U.S. Marine Corps’ so-called “intelligence” activity (and its prison for whistleblowers from Smedley Butler to Bradley Manning) is at Quantico. The Office of Naval Intelligence is located in Suitland, Md., but has a training center located at Dam Neck and known as the Navy Marine Maritime Intelligence Center. And over at Langley Air Force Base is the 480th Intelligence, Surveillance and Reconnaissance Wing. The Virginia National Guard (emphasis on “National”) is located all over Virginia, including just down Avon Street. The National Geospatial Intelligence Agency is in Herndon. The “private” military corporations in Virginia are legion. Down in Lynchburg, Areva manufactures fuel rods for nuclear reactors. Virginia is home to SAIC, Dyncorp, Mantech, MPRI, and CACI. Xe (Blackwater) is moving to Arlington from its location just across the North Carolina line, a location at which the Virginia Beach Police train, and from which many Blackwater employees commute to live in Virginia Beach. L3 Flight International Aviation is in Newport News. A company called American Type Culture Collection in Manassas supplied the biological materials for anthrax to Saddam Hussein. And then, of course, when it was clear Iraq had no more anthrax, the pretense that it did was somehow a justification to bomb a nation full of human beings, 99.9 percent of whom had never shaken hands with Donald Rumsfeld. Then there’s Virginia’s congressional delegation, which splits its time between Virginia and D.C.
Eisenhower was talked out of saying “military industrial congressional complex,” but the meaning nonetheless came through. The Fifth District has flip-flopped between the two big political parties in the last two elections without the slightest impact on its representation in terms of war and military spending. In the midst of this hysterical debate over debt and deficits in Washington this summer the House passed a bigger military spending bill than ever, with almost no comment, and the Senate is working on passing it right now with no notice in the news and not a single outraged rally from the tea party. We are drawn almost irresistibly to imagining that whatever harm all this military activity does to the world or to our future safety, at the very least it means jobs, it brings money into Virginia from Washington, D.C. And in fact, unlike many states, Virginia does get back more federal money than it puts in. But it puts in a heck of a lot, and gets it back in the least economically beneficial manner possible. At costofwar.com you can find a number ticking ever upwards showing what the nation has spent thus far on its two largest current wars, both of which a majority of Americans have favored ending for some time now. The figure is now over $1.2 trillion. If you click on Virginia and then Charlottesville, you get $105 million as the amount in taxes that Charlottesville has paid for the wars in Afghanistan and Iraq. That doesn’t include future costs of interest, veterans care, the impact on fuel prices, or lost opportunities. But our wars are a small part of the $1.2 trillion we spend each year on the military. We’ve spent $1.2 trillion on these two wars over a decade, but we spend $1.2 trillion each and every year on the military. So, each year, Charlottesville dumps $105 million into the military industrial complex. Sure, it gets some of it back. But the City of Charlottesville has a budget of $130 million. I bet the mayor could think of some useful things that could be done with an extra $105 million or even a little bit of it. Federal funding for block grants and other programs is being cut all the time. Don’t let anybody tell you military spending is not a local issue. It would be hard to do worse, morally or economically, than handing that money over to the war machine.